Promising Christmas cheer including carols, a brass band and a visit from Santa himself, the event, on Thursday, November 29 from 5pm to 7pm is set to be a cracker. Being held at Hartford Grange, on Walnut Lane, Northwich Town Mayor, Cllr Alison Gerrard will officially open the fundraiser, with performances from Hartford Primary School and Northwich Pop Choir. Visitors will be able to indulge in seasonal goodies including hot chocolate and delicious spiced mulled wine. There will also be raffles and a host of other activities to get everyone in the festive spirit. 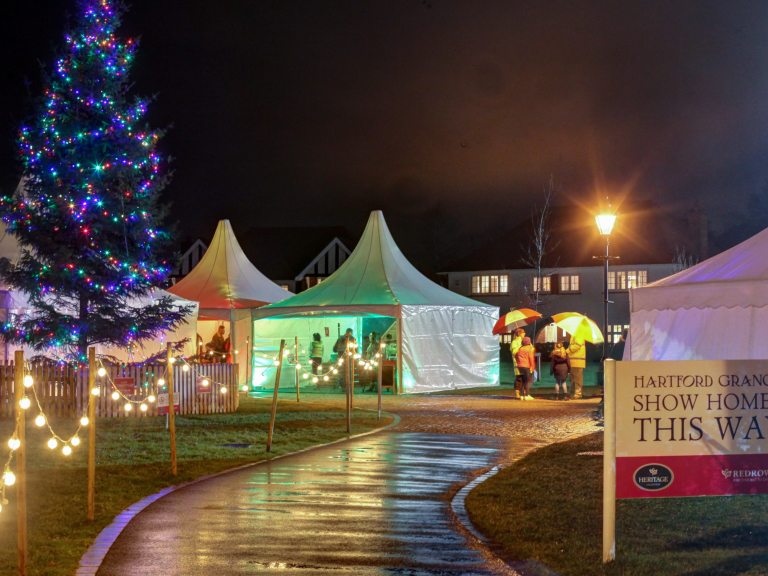 Caroline Thompson-Jones, area sales manager for Redrow Homes (NW), said: “A Happy Hartford Christmas is now in its fourth year and has become a firm fixture in the community calendar. It’s popular with Redrow homeowners living at Hartford Grange, Water’s Reach and Weaver Park, as well as those in the wider neighbourhood, as it provides an opportunity for people to come together and enjoy some festive fun while raising money for charity. Redrow has an ongoing relationship with The Joshua Tree. It was one of the charities to benefit from fundraising during the company’s 40th anniversary in 2014 and in 2015 Redrow backed The Joshua Tree’s Christmas gift appeal. Redrow has also gifted more than £20,000 to local causes in the Hartford area since 2016 via a series of community funds. Enter into the spirit of giving with a visit to the Happy Hartford Christmas event at Hartford Grange in aid of The Joshua Tree from 5pm to 7pm on Thursday, November 29.